Last Friday, when members of the Faculty of Arts and Sciences (FAS) received their materials for the first faculty meeting of the year, held on the afternoon of October 3, they may have thought they’d been sent an old agenda. A report from the USGSO (unrecognized single-gender social organizations: final clubs, fraternities, and sororities) committee was docketed. So was a motion by Harry Lewis, Gordon McKay professor of computer science  (and former dean of the College) and colleagues, opposing regulatory sanctions against undergraduate membership in such organizations. And there was a new motion, from Conant University Professor Danielle Allen (also co-chair of a Presidential Task Force on Inclusion and Belonging ), putting forth yet another way of addressing the social organizations. So it was seemingly déjà vu all over again—as the faculty prepared to continue its protracted deliberations on the final clubs and other USGSOs. It will thus revisit issues first raised in May 2016, when College dean Rakesh Khurana proposed to sanction students who joined USGSOs . Those issues were aired in detail at November  and December faculty meetings  (the latter, to accommodate an overflow crowd, in a Science Center auditorium), as professors who objected to curtailing students’ freedom of legal association , questioned the efficacy of the sanctions, and opposed the administrative imposition of disciplinary measures that could interfere with faculty members’ academic evaluation of students , sought to overturn the sanctions. Further debate was then deferred while an “implementation committee” reported ; and further deferred as a faculty-administrator-student committee convened by Dean Smith (and co-chaired by Khurana) reviewed the sanctions regime  and then proposed prohibiting student membership in the clubs outright —and proposed that the final decision on implementing such a regulation be left to President Drew Faust. The committee then prepared for the new academic year as it took faculty members’ comments into account and issued a revised report recommending not one but the possibility of three different courses of action (the report issued last Friday and shared with faculty members today). And then, the issue again ran into the motions made by individual faculty members suggesting still different courses of action—including a motion from Lewis reiterating the objection to regulations that curb freedom of association—effectively asserting that student life is subject to faculty legislation and regulation, not to administrative decisions, as a matter of Harvard governance . Obviously, there was new news: the latest committee report with three proposed courses of action rather than one—a point emphasized in The Harvard Crimson  and other accounts. The surprises don’t end there: those accounts overlooked the committee’s most original, and possibly constructive, element: a bracing minority report by professor of psychology Jason Mitchell. Updated October 4, 2017, 10:30 a.m. As a service to readers, Harvard Magazine will post the texts of speakers’ remarks on USGSOs at the faculty meeting, as they are received. They appear as linked sidebars, at the top of this article. Remarks received to date include those by Suzannah Clark, professor of music and co-chair of the USGSO committee; Harry Lewis, identified above, who made a motion effectively opposing implementation of the committee recommendations; and Eric Nelson, Beren professor of government, also opposing the committee recommendations. Updated October 4, 2017, 11:15 a.m. Danielle Allen’s remarks accompanying her motion are now posted. The remarks of Steven Pinker, Johnstone Family professor of psychology, in support of the Lewis motion and in opposition to sanctions, are now posted. Updated October 4, 2017, 12:00 noon. The remarks of William C. Kirby, Chang professor of China studies and Spangler Family professor of business administration (and a former FAS dean) are now posted; he spoke in opposition to the Lewis motion, but with concerns about some regulatory proposals. Updated October 5, 4:00 p.m. The remarks of James Kloppenberg, Warren professor of American history, in support of the committee recommendations, are now posted. The committee report is now posted, as well. reinforce hierarchies and power structures between male and female students and amongst male students beginning with the punch process and sustained in their social events. Students note that these hierarchies inflect how they relate to each other as interlocutors in class and in sections. The clubs exert an outsized and chilling effect on students’ sense of belonging, constantly reminding students of their exclusion from the most prized sites of social capital. This exclusionary impact permeates campus. Indeed, the clubs’ proximity to campus (most are closer to the Yard than any of the undergraduate Houses save Adams) means students pass these buildings as they go from class to class or their dorm to class and back again. Day in day out, they walk past buildings that have become symbols of exclusion, where it is widely known that women are being evaluated by their peers based primarily on physical attributes, an assessment which is both hidden behind closed doors and made explicit when women are invited to parties. Feedback from students, faculty, alumni, and parents suggest a widespread awareness of this culture of peer assessment and objectification. 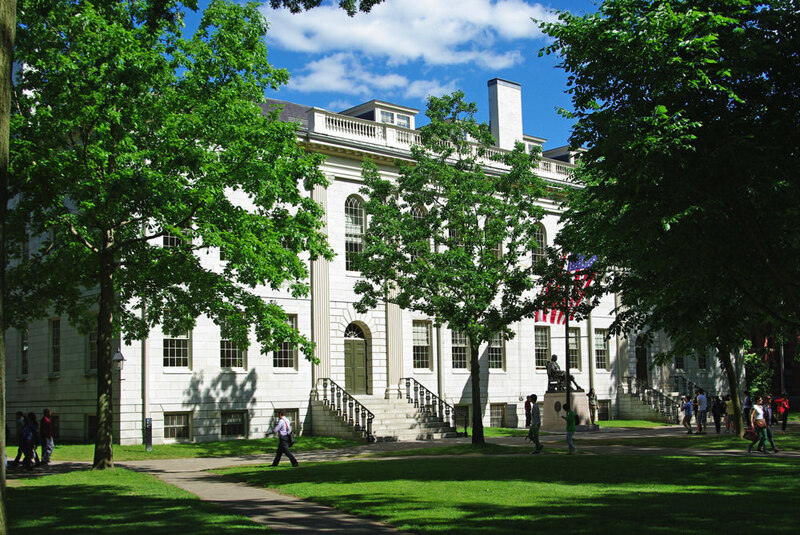 As it initially proposed, to ban membership in the targeted organizations, thus: Phase out the USGSOs by 2022 and/or transition USGSOs so that they comply with current independent student organization (ISO) policies and expectations.“Harvard students may neither join nor participate in final clubs, fraternities or sororities that are exclusively or predominantly made up of Harvard students, whether they have any local or national affiliation, during their time in the College. Both courses of action get results quickly, but they are regulatory in nature; opponents object to the constraints on students’ freedom of association; to the administrative, rather than legislative, nature of the regulation; and, in the case of withholding recommendations, to the intrusion on a faculty member’s academic judgment of a student’s work when she or he seeks endorsement for a Rhodes, Marshall, or similar fellowship. Components of this cluster of options include “a dedicated campaign by the College to inform students and their parents about the risks of joining USGSOs or attending their events”; creation of “alternative social spaces on campus that draw students away from the clubs and towards more supervised spaces—but don’t kill the fun with overregulation”; and invoking formal law enforcement when illegal, harmful behavior occurs at USGSOs. These discriminatory and exclusionary organizations are at odds with the kind of educational experience and community our admissions processes, our House system, and our curriculum are designed to achieve. Although a succession of deans has struggled to address the many issues arising from the resulting social scene, and although College Visiting Committees have expressed increasing concern, none of the steps taken have proved effective in defending the ideals of inclusion against the incursions of discrimination and exclusion in student life. As the USGSOs have grown increasingly prominent and influential, the College has, in direct contravention of our institutional intentions, slowly been evolving into a fraternity/sorority campus. As he and fellow faculty members who support the motion note, it does not in any way preclude invoking law enforcement or otherwise disciplining students for illegal or inappropriate behavior. It does intend to block the regulatory sanctions on student membership in USGSOs proposed in May 2016, and the subsequent ban on such membership proposed this year. Lewis has argued that students could still participate in ROTC when Harvard refused to recognize it on campus; that the University refused to fire a professor during the McCarthy-era frenzy of anti-Communist witchhunts; and that FAS might well regret voting to regulate membership in organizations in an era, like the present one, when the president of the United States has explored and proposed banning Muslims or residents of certain countries from coming to this country. There is no right to unpeaceable assembly; we should call in the police when students break the law. And we should tell students which clubs are dangerous places, and why. When muggings occur in Cambridge, we don’t just say there is crime in Cambridge, so students are required to stay on campus. We tell them where they shouldn’t go, explain why, and expect them to protect themselves.…[T]o the extent that we are worried about student safety, education would be more effective as well as more appropriate. Dean Smith reported that the Faculty Council opposed Lewis’s motion by a vote of two in favor, 16 opposed. She apparently feels, however, that the sanctions regime created in May 2016 runs the risk, as Lewis fears, of being too broadly applicable. Thus she would like the USGSOs as organizations to have the incentive to change, and to comply with the College’s nondiscrimination policies; but if they fail to do so, she would then sanction students who choose to continue to join them—removing them from the community. Allen conceded that the idea was complex and merited further discussion. The Faculty Council supported her motion 17 to zero. Because the faculty had a long agenda and extended its deliberations until 5:45 p.m. to get through it, debate on the committee report, Lewis motion, and Allen motion was relatively limited—to be held over until November 7. Many of us believe firmly that despite its shifting rationales, the College is “really” trying to address problems specific to the all-male Final clubs. After all, these are the only groups that own property adjacent to campus and that host the parties outside of which female undergraduates queue in the hopes of being admitted. These are the groups that perpetuate privilege most perniciously. And these are the groups that our colleagues have uniquely identified as important loci of sexual assault. Indeed, it is hard not to perceive a direct line connecting the Final Report in March 2016 of President Faust’s Task Force on the Prevention of Sexual Assault to the announcement two months later of the first sanctions policy. When our goal is to achieve a particular outcome (say, the end to all-male Final clubs) we naturally want to start by defining the principles at stake, such as an opposition to gender-based discrimination, and then allow our policies to flow from that principle. But thus far, this approach has created something of a dragnet, which threatens to sweep in student groups that many of us feel are not much of a problem (or, at least, not nearly as much of a problem as the all-male Final clubs); fraternal organizations without houses in which to host parties and womens’ Final clubs, not to mention the Hasty Pudding, do not really seem to be at the root of campus ills. It is my own belief personally—and I think the sentiment of many faculty colleagues—that we would have done better to clearly identify what we are trying to achieve, which is an end to the noxious, distorting, and often abhorrent influence of the all-male Final clubs on undergraduate life. What of the procedures or remedies that ought to be considered? For much of the past 16 months, we have been led to think in binary terms—either we take the extraordinary step of patrolling the off-campus social lives of students, or we wave a white flag of surrender to the status quoand acquiesce as the Final clubs continue to exert an adverse effect on our community. What is missing from this duality is any substantive discussion of how we might effect meaningful change on the Final clubs through more ordinarymeans. The policies of sanctioning USGSO membership surely comprise extraordinarymeasures: they make extraordinary and unprecedented claims on the private, off-campus lives of our students; implementing them will require a radical reimagining (for many of us) of the relationship between the faculty and its students’ private lives; and they seem (to many of us) to contravene other values that ought to characterize a liberal institution committed to free inquiry and personal transformation. One index of just how extraordinary these policies seem is the amount of time spent by the USGSO Committee on the question of whether the various sanctions policies are even legal. Such policies will take us into uncharted places. But a look at what is described suggests that the College’s ordinary attempts have been limited to various forms of “moral suasion,” mainly comprising various meetings between administrators and club leaders and alumni boards. If the College’s efforts have indeed consisted mostly of an occasional stern talking-to, then we have little reason for surprise at their failure. Social scientists—economists, sociologists, those in psychology departments and business schools—have learned a great deal about how to change people’s behavior, and we know that “moral suasion” is probably the least effective way of going about it. This is why when public health officials aim to decrease cigarette smoking, they do not simply tell people, “Cigarette smoking is bad, you shouldn’t do it.” Instead, they have waged a sustained campaign to inform consumers of the dangers of smoking; they make it harder for young people to obtain cigarettes; they have worked relentlessly to transform cigarette smoking from something with social cachet into something that borders on shameful and “uncool”; and so on. No, this has not proven straightforward, and yes, it has taken time and real effort. But walk around Harvard Square on a Saturday night, and you will struggle to find an (American) student smoking a cigarette, an absence that would have leapt out for its strangeness not all that long ago. [M]y sense [is] that when we look past the legislative motions and parliamentary maneuvers, the blog posts and leaks to The Crimson, a good deal of opposition to the sanction policies flows from a desire to try—seriously for the first time—to rein in the Final clubs through a full suite of methods that we ordinarily use to change social behavior. That is, we have not had—but should be having—a full-throated conversation about whether we can reach our shared goals in ways that do not require us to compromise other core institutional values. I am not convinced we can, but many of us believe it is worth first trying. [A]lthough I resist the notion that Harvard College is somehow obliged to administer its students an appropriate dosage of fun (surely, something somewhere in the Boston area caters to the needs of college students? ), we should acknowledge that the (real or) perceived lack of alternative spaces for “letting loose” remains a powerful draw of the Final clubs for our students. Thus, draining energy away from the Final clubs will require that we direct it elsewhere. The participants in the debate over final clubs clearly would like it to come to a resolution. After more than a year of debate, it must appear to the outside world that everything else on Harvard’s agenda—medical breakthroughs, what its students are learning and how, new fields of research to support—is of lesser importance than deciding what to do about the final clubs. Out of sheer exhaustion, the faculty members may come to a decision. In the meantime, the debate has become so divisive and all-consuming that for the second time, today’s FAS meeting was moved from the Faculty Room to the Science Center (as it was last December) to accommodate the expected crowd. The last time this happened was more than a decade ago, when the faculty, sharply at odds with then-President Lawrence H. Summers, met in Lowell Lecture Hall, and then in the Loeb Drama Center (where the balloting on a no-confidence measure was conducted): a truly existential moment in Harvard governance. It is impossible not to comment on the current campus morass without also noting the deep and abiding concerns of the Faculty regarding its role in informing College policy. The implementation of either sanctions policy will permanently reshape the relationship between the faculty and our students (perhaps for the better, perhaps not). At the same time, however, the specific way in which these policies have been advanced threatens to alter the relationship between the Faculty and its Administration. Many of us—including many of us who would otherwise not be opposed to taking extraordinary measures against the USGSOs—are deeply disturbed by what we view as unprecedented administrative overreach, including the widespread perception that our Administration is committed to avoiding a faculty vote on the proposed policies. From my conversations with many colleagues, it is hard to overstate how divisive and demoralizing this posture towards the Faculty has been, not least because it could have been avoided in the first place. In many ways, it is this aspect of our current situation that troubles me most. Professor Harry Lewis and a number of other faculty have proposed a motion for that same meeting that says there can be really no control over student activities in relationship to independent social organizations. This troubles me a great deal because I think it’s a motion that would essentially say we will become a fraternity and sorority campus, something that is very at odds with the ideal of the House system and the kind of integrative function it has across the range of differences that our students bring to their experience here. Presidents and faculties—especially the diverse, multidisciplinary, decentralized FAS–have their differences. Faust has made action on the final clubs, particularly, an intended part of her legacy. The ensuing tensions within the faculty, among faculty members and the FAS administration, and between FAS and the central administration, have become focused and have festered during the prolonged, shifting debate over the clubs. Resolving the substantive issue, and restoring normal operations and relationships within the community, now both loom as important, linked objectives.